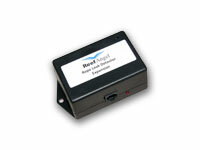 Reef Angel Aquarium Controller is the first open-source aquarium controller to offer the reefing hobbyist full control of hardware and software to accommodate their reefing needs. Reef Angel Aquarium Controller was built in the same open-source electronics prototyping platform as the world famous Arduino. What does it mean? It means you can rest assured that your aquarium controller is working on the most stable platform on the market. 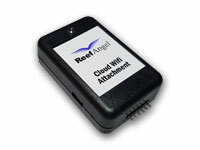 There are many ways to connect to your Reef Angel Aquarium Controller when you are away. Whether you prefer to use your computer, your smart phone or your tablet, there is an option for you. With the wifi attachment and the smart phone app, you have remote monitoring and full control of your controller all done remotely. Check for water leak anywhere in the rope and not just a single spot.